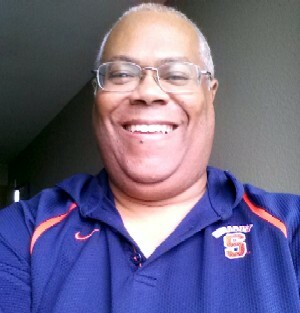 Syracuse Wiki » 4 Technology Cost Questions Worth Asking “Is It Worth It”? We all love technology for the benefits and joys that it brings us. What we don’t always like is the cost of things. Most of the time on this blog we try to find ways for you to save money, but sometimes it’s not about saving money, it’s about making sure you’re getting the value you should be getting. With that in mind, we’re going to look at 5 things you should be thinking about with your technology when it comes to cost; cheaper isn’t always better, depending on what you want or need. 1. Smartphones are something that costs can sometimes be misleading. There’s a lot of people who are buying iPhones because they’re the cool thing to have but you really have to ask yourself if you can afford to spend that much money when Android phones can provide almost the same exact thing for much less. At the same time, a cheaper Android phone might not give you want you want either. I paid $250 for mine instead of getting a deal for only $49 for two reasons. One, it came with a 32GB storage chip as opposed to the 2GB that came with the other phone. Two, it was a 4G phone, the fastest speeds to date, while the other one topped out at 3G. My phone also came with a lot of other options the other phone didn’t come with, so it seemed the way to go. One should always measure those types of things in deciding cost. However, where you buy your phone should be a major consideration. My wife and I saw a great deal on the Verizon website for a Samsung Galaxy S9; buy one, get one free for $399. We went to the Verizon store, only to learn that we also had to get another phone line and erase one of our existing cell numbers to get the deal; otherwise both phones were around $750 each. Instead, we took a shot and went to Best Buy, where we got the same exact phones for a total of $440, plus the cost of insurance, without having to get either a new phone line or phone number. Our thinking was that we’d get a better deal from the people we already had our services with; that’s not always true. 2. Laptops can be interesting. Do you want one with an i2 or i3 Pentium chip? Do you want 4 GB DDR2 or 2 GB DDR3? Do you want the 750GB hard drive, the 320 GB hard drive or maybe the ultralight 150GB SSD drive? Do you want a 10″, 15″ or 17″ screen? Laptops can range in price from $250 to $1,500, and offer tons of options. Bigger sometimes seems better, and so does brand name, but it’s not always true. If you’re going to use your laptop infrequently then it makes no sense to pay a lot of money for one. If you’re a gamer then it makes no sense buying something that can’t take the pounding. If you travel a lot buying something with a SSD drive, even if it’s expensive, might take less of a toll on your body by carrying it around all the time. Pentium or AMD chip; not a big deal for value. RAM; once again, depends on your needs how much you need. Don’t price yourself out of the market to get a laptop, but don’t get the least expensive thing if your needs are greater than every once in a while. Also, realize that lighter and cheaper might mean your laptop doesn’t come with a CD/DVD player. Many people are shocked later on when they find out that’s the case; at that point it’s too late to do anything about it. 3. Flat Screen TV’s come with many different resolutions, but do you need the best? Want to know a truth? Not everyone’s eyes love the TV’s with the best resolution. Like art, we all know what we like. 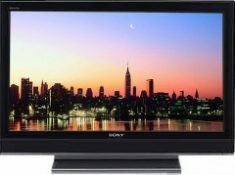 Do you pay $1,200 for a 42″ Sony hi-def flat screen when you might want to get a “52 inch screen for the living room that only costs $750, even if the Sony’s resolution is twice that of the other brand? In today’s world, prices are falling on bigger TVs made by some off brand companies. My wife bought something called HiSense with a 65” screen that looks pretty good for around $265. It doesn’t work like a conventional TV, but she doesn’t watch regular TV anyway. It came with a free Hulu account, and since she already pays for Netflix, she’s ecstatic. What you want in a TV is something that has a great picture per your ideals and something that will last for awhile. Spending either the most money or the least amount of money isn’t always the smartest way to go. Decide what you want, then get the best and most affordable in that class. 4. Tablets; interesting things to think about. Everyone thought the Amazon Kindle, then the Fire, were going to be the biggest sellers on the market when they came out. Turns out the Nook by Barnes & Noble is actually a legitimate contender and sales were fairly equal, which means other readers were going to be coming; everyone wants a piece of the action. Once again it depends on what you want before deciding how much you want to pay. 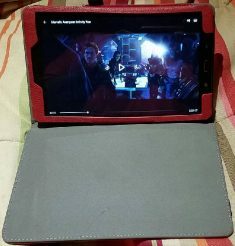 All tablets can access the internet if you have a wireless connection. All can store and play ebooks, music and movies. The Nook was rated as a better reader visually while the Kindle offered better initial storage options. The one thing the Nook offers that no other reader does is the ability to go to a regular B&N store and view its digital content for free, which means every single book they have in the store (you can read a single book for an hour), something you can’t do with any other reader. If you like to sample books before buying them, or can speed read, this is a pretty nice option. The main thing to look for if you want to use your tablet for more than books is whether it can access 5G wireless or only 2.4G. Streaming works best with 5G, but not all readers can access it.